COBO HALL Cobo Arena COBO CENTER construction photo picture print for sale. 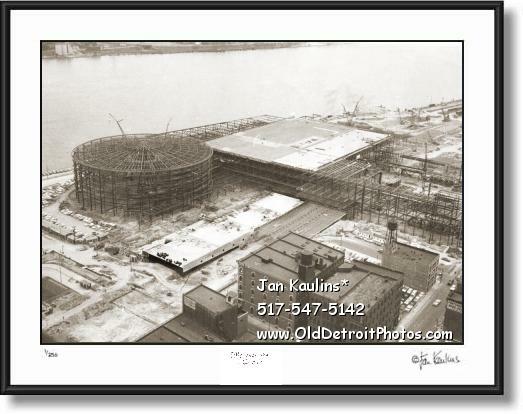 This unique 1958 DETROIT COBO HALL COBO ARENA COBO CENTER construction center photo print photograph for sale is made from the original black and white historic DETROIT COBO HALL vintage photo that has been professionally restored by artist/photographer and historian Jan Kaulins. It is a wonderful image showing the construction of this historic Detroit structure on the shores of The Detroit River in 1958.